Is your HR function stuck on the treadmill of transactions? Can you not imagine your HR person coming to you with an idea of how to raise revenues and profits? Would you, like most CEOs in a recent survey, give your HR function a 1.6 on a 4.0 scale - a solid D? Let us help you. 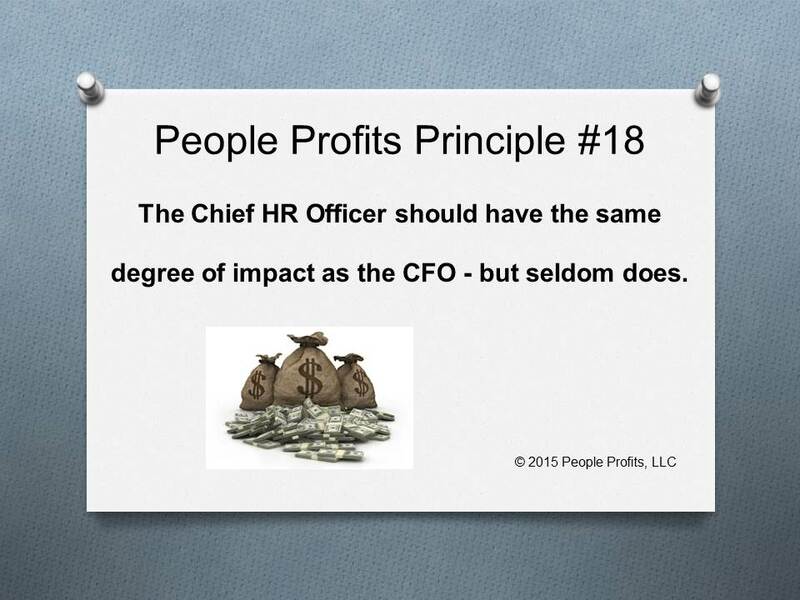 The goal of People Profits is to elevate HR - to think more strategically with greater business and financial acumen. A Deloitte study found that most CEOs give HR a 1.6 on a 4.0 scale for business acumen. We hope to help elevate that score. Employee Relations, Compliance and paperwork transactions are important; but there is so much more. The "much more" revolves around finance, fundamental business concepts, increasing revenues and profits.